Basil essential oil is derived from the Basil plant. The plant whilst commonly found in Europe, with many associating it with the Mediterranean region, is actually a native of Asia which was taken to Europe and naturalised there. The name of the plant however is derived from the Greek word Basileum, which means king, possibly due to its presence as an oil used for anointing kings. The aroma is often associated with feelings of being uplifted and you can discover about Basil Essential Oil Uses further down this page. The plant grows well in sunny and slightly dry areas, and there is a wide variety of species. The leaves vary in colour from light to dark green, whilst some are hairless and others hairy. The essential oil is extracted via a steam distillation from the leaves, flowers and buds, and is a clear yellowish colour. It has a medium strength aroma initially, and is defined as a top note in perfumery. The aroma itself is characterised as sweet, slightly campherous and herbaceous in nature. Some people note a tingling sensation when the oil is applied to their skin, if you have sensitive skin dilute and use sparingly. Other sources say that in high doses it can be a carcinogin. Essential oils and their principal constituents as antimicrobial agents for synthetic packaging films. Kuorwel KK, Cran MJ, Sonneveld K, Miltz J, Bigger SW. Basil essential oil has a great set of uses. Generally it is stimulating and very uplifting, and this carries through all its applications in a very pleasant way. A note should be made that this oil should be used in small quantities as a general rule, in large doses it can create soporific effects and actually lower energy levels. Used in reasonable amounts though it will really help your energy levels. Whilst all of these are good properties likely the most notable for this oil are the antidepressant, stimulant and tonic influences. Whatever is being treated they will bring strong effects, as long as dosage limits are kept to. All the properties mentioned do of course provide good assistant for various conditions as are noted and highlighted for your attention below. Note that in treating any one of these issues you will achieve positive benefit with other conditions in the list. For example, headaches brought on by menstrual problems can be treated effectively at the same time through use of Basil. Likewise acne and depression or anxiety have close links which can be treated at the same time through use of this oil. As mentioned above keep to small amounts of oil when using Basil. Whilst it is a relatively safe oil to use, remembering of course that it is an essential oil, mixing it with a carrier oil is advised. If you are using a very high quality and pure supply then you can apply it directly to the skin. Though the dosage should be kept low at all times so as to remain clear of the adverse effects mentioned at the top. Just a couple of drops of it will help you to access the benefits possible with this oil. 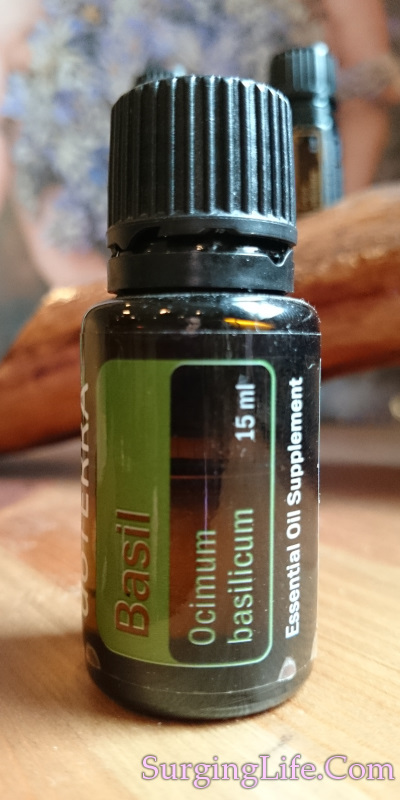 Whatever the reason you are using it for you will have the uplifting and re-vitalising effects, they are just part and parcel of the uses of Basil essential oil. Discover more on essential oils and where you can get high quality Basil essential oil.